Information: Matia Island State Park is a 145-acre marine park with C20,676 Cfeet of saltwater shoreline on the Strait of Georgia. The iCsland is part of Cthe San Juan National Wildlife Refuge. Under a Cmutual agreement Cbetween the U.S. 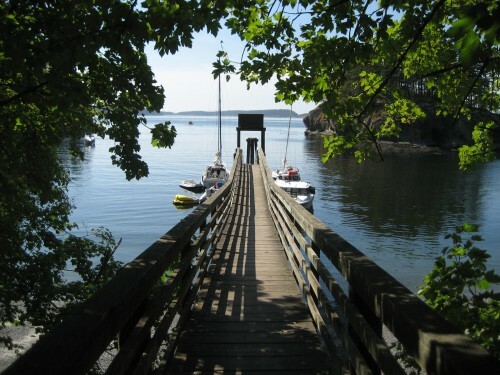 Fish and Wildlife Service Cand Washington State Parks, Cfive acres at Rolfe Cove are Cavailable to boaters as a marine park. Access: Access only by boat. 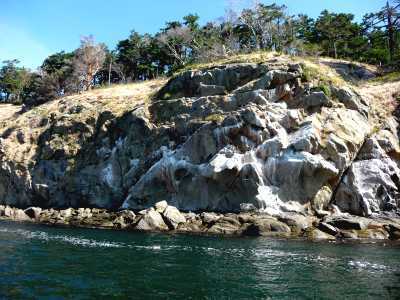 It is located 2.5 miles north of Orcas CIsland Cand 1.5 miles east of Sucia Island. 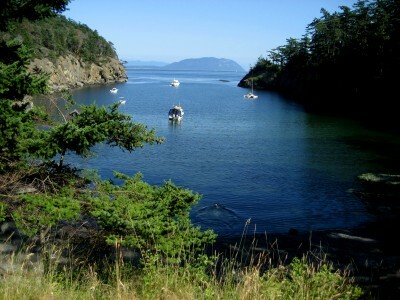 The closest launch Csites are in Blaine, CObstruction Pass on Orcas Island, CSquallicum Harbor in Bellingham, and Cin Anacortes. There are Ctwo buoys and one dock at Rolfe Cove. The dock Cis 64 feet long Cand provides 128 feet of moorage. Comments: Open fires are not permitted on the island, even in the Ccampground. 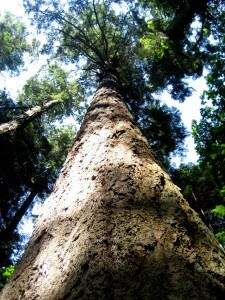 Charcoal fuel may be used in the barbecue grills in Cthe campground, but not wood. Gas stoves may be used for Ccooking. 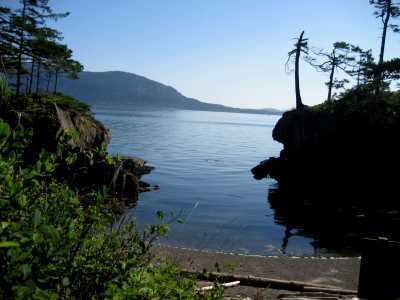 A beautiful island, with easy access, good walking trails, Cand marvelous old growth forest. C "What a gem!!" El exclaimed excitedly as we walked up the beach from our dinghy. "Wow." 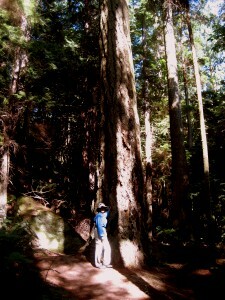 She was looking up at the beautiful campsites surrounded by old growth forest. 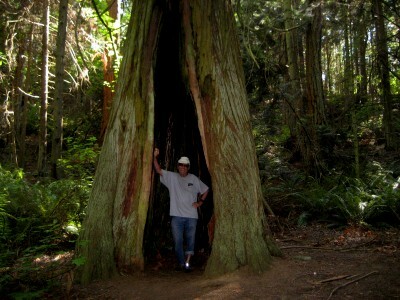 C The one mile loop trail through the old growth was truly awesome. 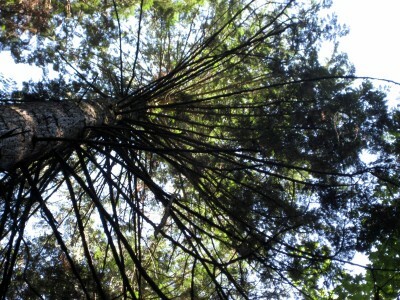 Every politician (in fact, every one of us) should walk through old growth periodically to know our real place in the world -- this is truly a lesson in humility. 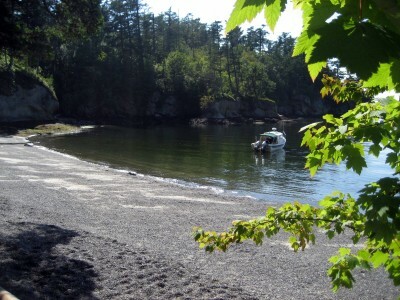 CC There is a delightful cove for anchoring on the south side of the island, and several small coves to explore by kayak along the western side. C While exploring the western side of the island, check out the Interesting rocks, consisting of tilted beds of sandstone and conglomerates, folded by the impact of colliding plates. There are also some beautiful sculptures in the rocks, formed by wave cuts. The power of expanding gowing salt crystals is amazing. The alternate wet dry of tidal change deposits salt crystals in the pores of the sandstones. The expanding crystals split out grains of sand and honeycomb the rocks into shapes. 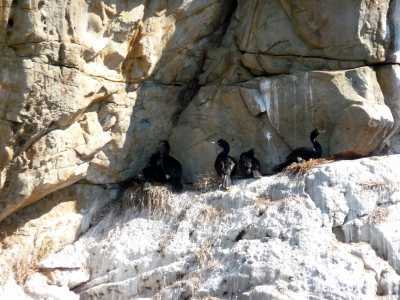 Sea birds have taken advantage of the fissures and fractured ledges to build nests.